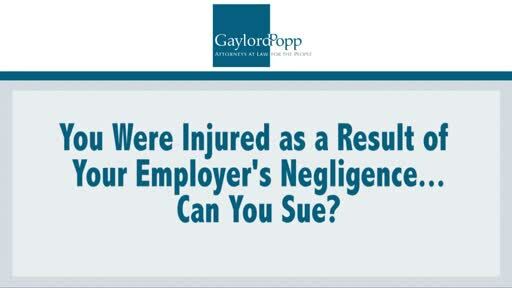 Were You Injured at Work – Due to your Employers Negligence? Every day we go to work and do our jobs, not expecting to get injured or hurt in any way. But the reality is sometimes accidents happen and employees get hurt. Your employer should have you covered under workers’ compensation insurance. This allows you to get treatment no matter who is at fault for the accident.